“It’s a really challenging music, and untrained ears could mistake it for an interference or diaphony. But maybe that is exactly what Zauss wants; giving life to disturbed signals, cascades of harmonic waves, alien noises and atonal distortion where sound finally reigns supreme.” So says the liner notes. Right, for the braver soldiers that are still with me, Zauss are an avant duo of Italian/Swiss constitution. Italian guitarist Francesco Zago, a quite extraordinary artist and someone whose work I follow with great interest, is part of the fabulous AltrOck supergroup Not A Good Sign as well as his own Yugen. Most recently he became a member of Italian RIO legends Stormy Six, as well as having many guest appearances on others’ albums. Swiss saxophonist Markus Stauss has a long history in avant jazz, as well as venturing into “pre-post rock” with Überfall, and he was also once a member of a post no-wave American “weird trio mixing jazz, funk, and chamber music” by the name of Ulterior Lux. Collaborations with Zago on the rather good Spaltklang album In Between, and with The Wrong Object’s Michel Delville in the obviously Zappa-inspired Trank Zappa In Varese brought Stauss into the sometimes wonky orbit of my musical satellite. As Zauss, this is the duo’s fourth album and the second I have scribbled about. 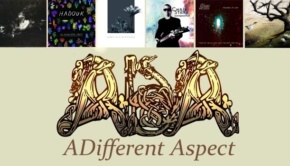 I reviewed their previous album Notturno/Leise im Wind for DPRP, leaving it “Unrated” as Zauss are not really within the “prog” orbit of that esteemed site. 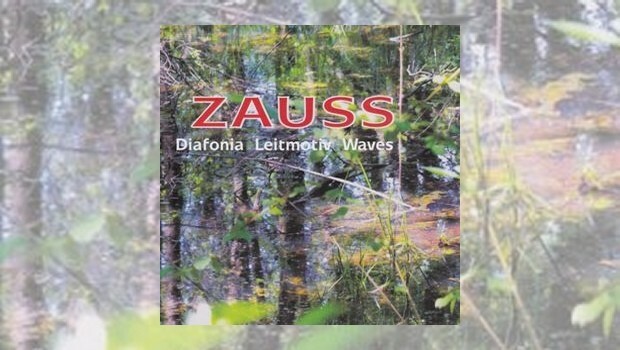 “Unrated” was not a slight on Zauss, but simply a reflection of the uncategorisable nature of the duo’s music, a tradition which continues on Diafonia… with excursions into Fripp soundscape territory, Faust klanging, free jazz, and oddly but surprising fittingly, the occasional appearance of a kind of distorted pastoralism. I would disagree with the implication in the opening quote to my piece that one needs a trained ear to appreciate this music – not at all, a non-musician such as I can get as much from their impressionistic take on proceedings as anyone with a degree from Berklee, I’m sure. The building guitar-led heavy rhythmic cacophony in Crescendo con fuoco (Growing up with fire) plays out a Faustian (as in the band) nightmare that anyone who appreciated that seminal German band’s industrial excursions into sound concrete may dig…with a jack-hammer, obviously! In total contrast is the conjured pastoral vistas created by the following Adagio molto, which transcends through its 10 minutes into a dreamlike state of bliss, akin to stumbling into a Zen garden having escaped the minefield. Markus’ tenor saxophone weaves sinuously around Francesco’s soundscapes, the guitarist slowly waking to meditatively entwine with the gently rising reeds. This is in parallel to the charming constructs laid out by Fripp and Travis on their sonic outings. It is quite lovely… not a phrase I was expecting to use here, admittedly. In fact the contemplative side of the yin and yang of this record probably wins out in the end, with Prima dell’alba going for a similar construct to Adagio molto. The album is entirely improvised, and the rounded nature of these compositions-on-the-hoof belies the musicianship of the dos amigos. There are moments when Markus indulges in his free jazz instincts, and moments when Francesco charges down an avant byway, but they each, even at their most wilful form an essential part of a whole that is for this listener at least, a rewarding experience. The final track, Es fuegt sich translates somewhat ironically as “It blends in” and sees the album out in a bee-buzzing guitar storm accompanied by Markus’ free jazz meanderings. That barefaced track title and others on the record shows that while this may appear to be an overly serious and studious pursuit, its makers had fun assembling the album. It seems to me to be one of those “we make the music we want, if anyone else likes it, all the better” projects and loses nothing for that wilfully uncommercial approach. Luckily here on TPA we do not get into the marking game, so there is no need for a qualifying “this is not prog” statement. It isn’t, obviously, but frankly, who cares? If you like Travis and Fripp and also have the occasional yearning for avant improv, then this is for you.